We went to Northeast Car Connection this past Saturday 4-13-2019. Our salesperson was Adam. He was beyond the best. Period. We went there to get a car for my wife. I had no intention of getting a car myself yet we drove off of the lot with two. Our experience was beyond amazing. There was no "pushing". It was as smooth as smooth gets. Adam, your are in an elite class and we cannot thank you enough. Everyone there was the Cream of the Crop. Thank you. It was our 5th car for Northeast Car Connection. Steve M.
Dave Felder and Brain Smith worked very hard to get me a great car. All staff was friendly and helpful!! I highly recommend everyone to come to Northeast Car Connection to get a car. My husband and I found a vehicle online and scheduled a test drive. We had the pleasure of working with Aaron, and he was very knowledgeable, patient and personable. Overall the staff was friendly and knowledgeable as well. Great sales crew! Patrick Daly and Brian Smith worked hard to find me the perfect car at an unbeatable deal. Everyone was friendly, upbeat, and helpful. I couldn't be happier, and plan to have my new car serviced there regularly. Everyone was great to work with. They were willing to have my mechanic look at the vehicle before purchase even though my mechanic was located an hour away from them. Like OMG Franceska was amazing. She is very friendly she helped my girlfriend and I find just what we were looking for. I am very thankful to her for putting my girlfriend and I in a new Malibu! Thank you Franceska And you go girl!!! We Are Your Philadelphia Used & Certified Pre-Owned Dealer Near Levittown, Norristown, Wilmington, Jenkintown, Willow Grove, Lansdale, Hatboro, Bensalem, Marlton, Sicklerville, Horsham, Ardmore, Doylestown, King of Prussia, Cherry Hill, Lansdowne and Bryn Mawr, Warrington and Warminster PA. If you’re wondering where is Northeast Car Connection or what is the closest used car dealer near me? Northeast Car Connection is located at 2001 Byberry Road, Northeast Philadelphia, PA 19116. You can call our Sales Department at 215-515-4766 , Service Department at 215-673-0750 , or our Parts Department at 215-673-0750. Although Northeast Car Connection in Philadelphia, Pennsylvania is not open 24 hours a day, 7 days a week – our website is always open. On our website, you can research and view photos of vehicles that you would like to purchase or visit our Meet the Staff page to familiarize yourself with our staff who are committed to making your visit to Northeast Car Connection a great experience every time. 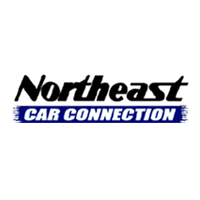 Also, don’t forget to go to our Northeast Car Connection Dealer Reviews page for the latest comment and dealership reviews. As one of Philidelphia’s best used car dealerships, Northeast Car Connection has a wide variety of Certified Pre-Owned cars, trucks & SUVs for you to choose from. Each vehicle has undergone a rigorous inspection to ensure the highest quality used vehicles in Pennsylvania. Stop by Northeast Car Connection or search online to find the used car, truck or SUV that is right for you. We have used cars, trucks & SUVs for every need and budget, and our expert staff will always work with you to get you in the vehicle you want for an affordable price. Feel free to browse our online inventory, request more information about our vehicles from one of our expert Northeast Car Connection sales professionals, or set up a test drive with a sales associate. Visit our Northeast Car Connection finance page to get preapproved today! Our finance department staff are dedicated to putting you in the car you want, at a price you can afford. Whether you are looking to finance a car, truck, or SUV, our finance experts will work to arrange affordable payments for our customers. Our state of the art auto service department here at Northeast Car Connection will keep your vehicle in excellent condition. Our diagnostic equipment operated by our expert technicians will detect any issues that may be occurring in your vehicle so our service technicians can fix the problem right the first time. We offer all the auto services, auto maintenance and auto parts you need to keep your vehicle running like new, even if all you need is an oil change. Visit our service department page to schedule a service appointment or our parts department page to order auto parts or for more information.